If you need an easy to make side dish for holiday entertaining, listen up because this recipe is for you. I’ve probably mentioned this before, but in case I haven’t, let me just say that my family loves onions. Judging from the quantity, as well as variety of onions in our house, this love may borderline on obsession. But what can I say, onions are a surprisingly versatile vegetable. They can be the highlight of a meal or a simple compliment. Believe it or not, it’s great when you have no other vegetables in the house and you need a side dish for dinner. 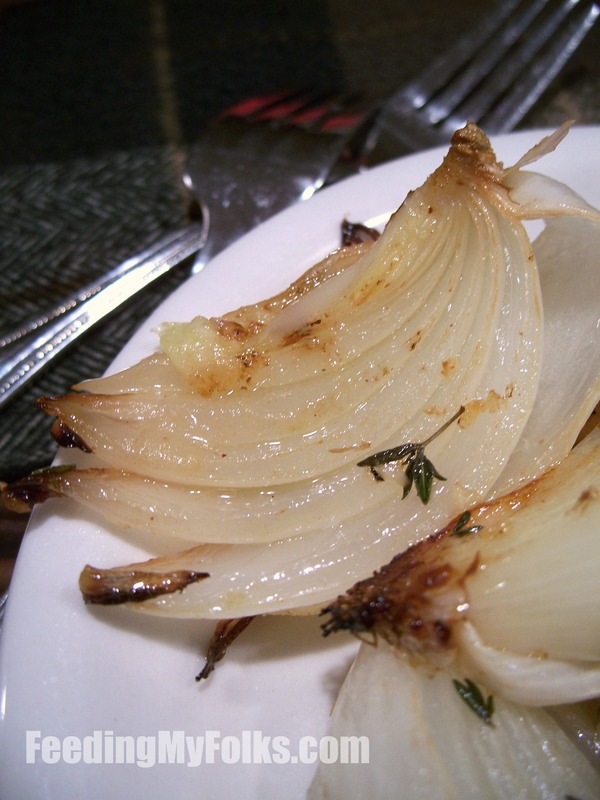 That’s right, I’m about to tell you guys about a side dish exclusively made up of onions (and garlic and thyme….oh, and butter). Just toss everything on a baking sheet and let the oven do the work for you. 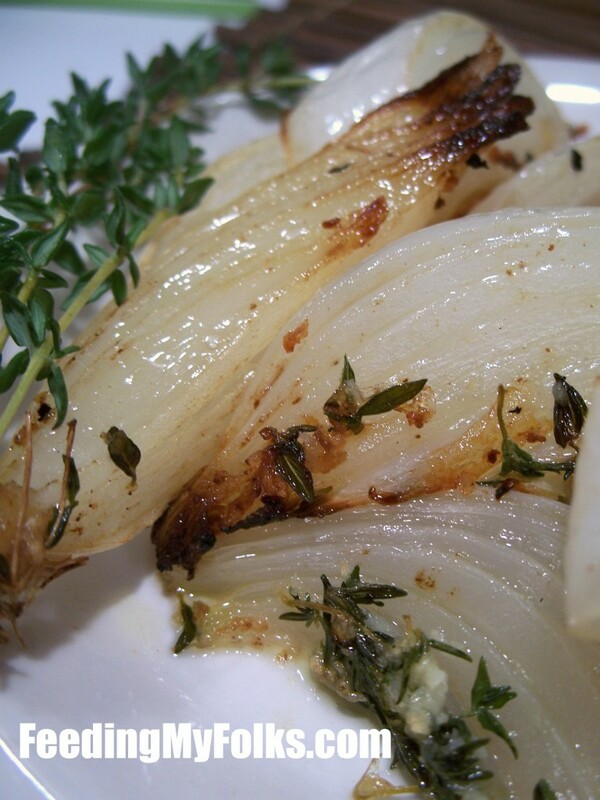 The high heat will caramelize the outside of the onion wedges, while tenderizing the insides. If you’re not sure what that means, it’s when the onions get a rich, brown color due to the sugars cooking up. It tastes phenomenal. 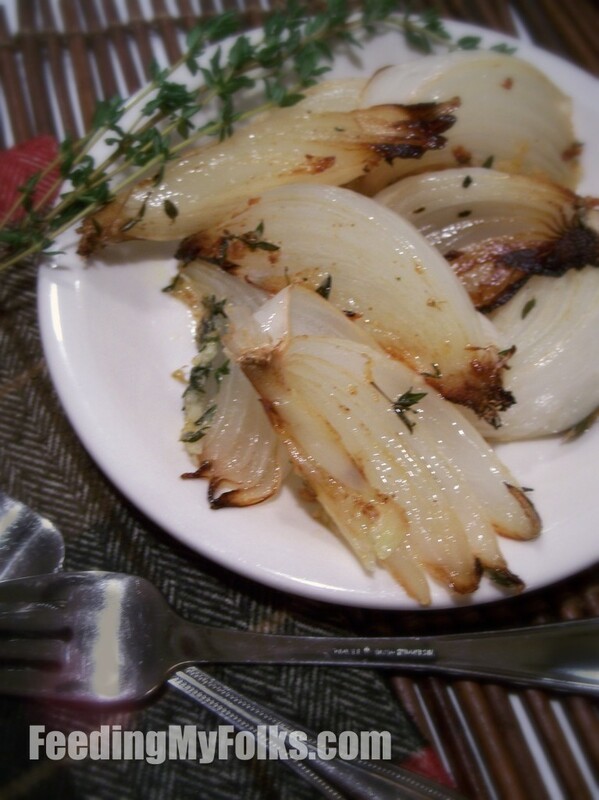 And all of those caramelizing onions swim in an amazing “sauce” of garlic, butter, and thyme. You will love it. Anyway, I’m keeping the post simple and short today. I gotta get back to prepping for Christmas Eve festivities tomorrow. Enjoy! Peel and cut the onions into wedges. Put the onions on a baking sheet. Sprinkle with the minced garlic thyme, and a sprinkle of salt. Drizzle with oil and butter. Gently mix everything together on the baking sheet. Bake for 20-25 minutes, or until caramelized.